So, Jen thinks she has found the best tasting cake ever….well check out these awesome cakes we had during our March Mega-birthdays month. The birthday bunny brings a cake! 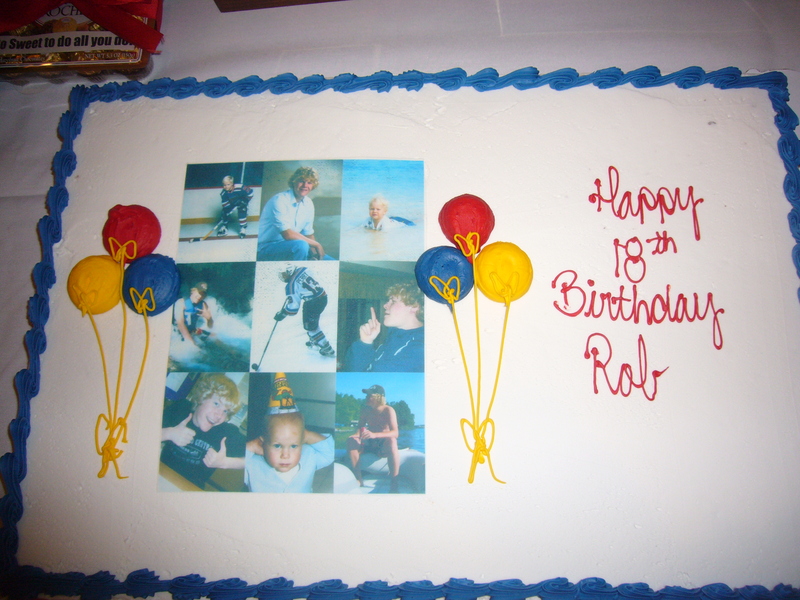 Robby refused to have his picture taken at the Hockey Banquet with his cake! 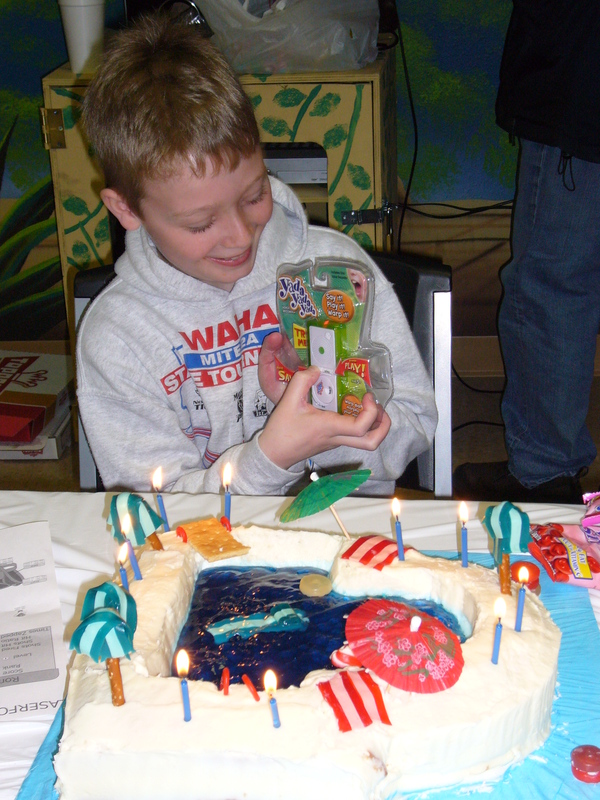 Trevor’s friend Matt made this cake at the Boy Scout Father/Son Bakeoff! 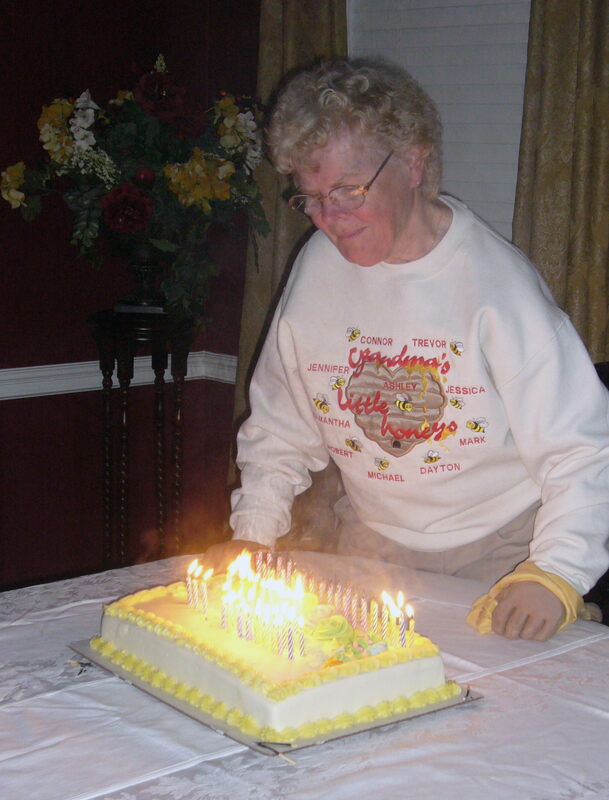 And then in April we celebrated my mother’s 75th Birthday and yes, more cake! No flash needed to take a picture here! And this, my friends, explains the rapidly expanding waistlines at our house! 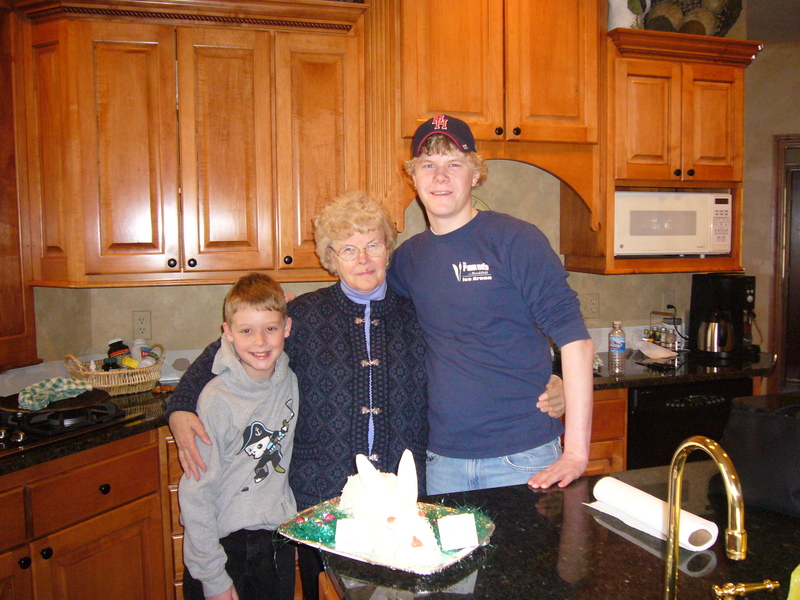 This entry was posted in Rob II, Trevor and tagged Birthday, Bunny, Cake, Cruise, Party, Robby, Trevor, waistline. Bookmark the permalink. So, what kind of cake can we expect at the Graduation party later this month? And will each grad have their own cake? Double the cakes – Double the waistline. @ Brian – Of course there will be cake! (actually two) Why, won’t you come if there isn’t?